The Domaine Serene Wine Lounge at Sentinel features the award-winning wines of Domaine Serene alongside selections of Château de la Crée and Maison Evenstad wines from our Burgundian winery located in the Santenay region of the Côte de Beaune. 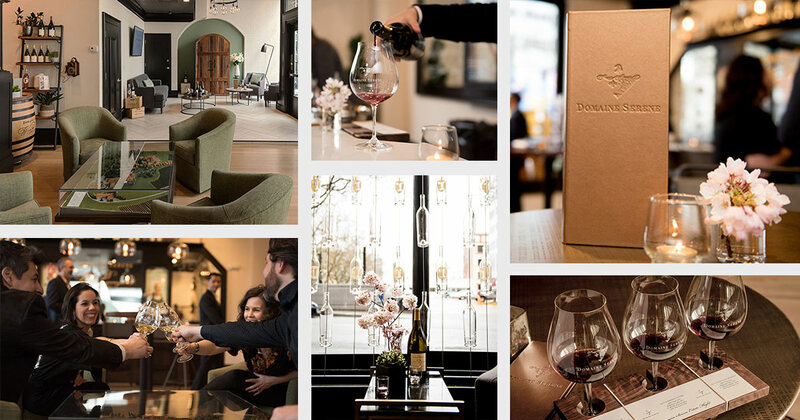 The Domaine Serene Wine Lounge is located in Sentinel Hotel and conveniently accessible from both bustling SW Alder Street and Sentinel’s lobby. The new Wine Lounge will offer Sentinel guests, locals and visitors to downtown Portland an elevated wine experience for both novices and aficionados looking to relax and unwind with a glass of world-class Pinot Noir or Chardonnay. The Domaine Serene Wine Lounge will be open to the public, wine club members, and hotel guests every Thursday through Sunday. Monday through Thursday morning, the lounge will transition to an exclusive private event venue – perfect for those looking for a truly elevated and unique wine-inspired experience.